Hanukkah begins on December 12, so this seems an appropriate time for this post, because the history of Jewish people in Boyle Heights is an essential part of the community's legacy, especially in the years between the First World War and just after World War II. 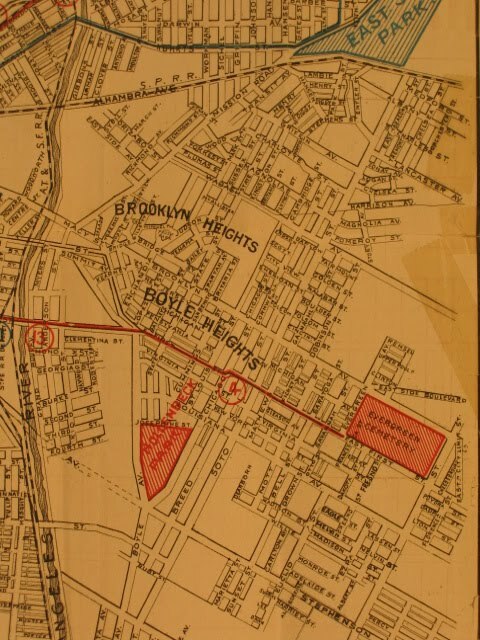 Few people have known, however, that a Jewish man was one of the three founders of Boyle Heights back in 1875. He was Isaias W. Hellman, whose involvement in finance and business was of great influence in California and the Pacific Coast. This remarkable man was born in 1842 in Reckendorf, Bavaria and emigrated at the age of 17 with a brother to Los Angeles, where two cousins had a store. After working in that business for six years, Hellman opened his own store in 1865. As successful as he was as a merchant, it was a small safe that he kept in the storeroom that directed his future. Hellman began to offer Los Angeles residents the opportunity to store their gold and valuables free of charge. This led to his establishing lines of credit with these depositors while he made use of the money--essetially, Hellman was a banker without a bank. In 1868, he decided, as Los Angeles was undergoing its first development and growth spurt, to make banking a formal proposition. Two of his customers, William Workman (uncle of Boyle Heights' founder) and F. P. F. Temple, San Gabriel Valley ranchers and farmers, joined the enterprise of Hellman, Temple and Company, the second bank in Los Angeles. This bank lasted less than three years, however, because of fundamental managing differences between Hellman and Temple. Hellman, in fact, reputedly said that Temple's only qualifications in a borrower was that "he must be poor!" After dissolving the partnership, Hellman joined ex-Governor John G. Downey in forming Farmers and Merchants Bank, which became a powerful financial institution in Los Angeles and survived until 1956. 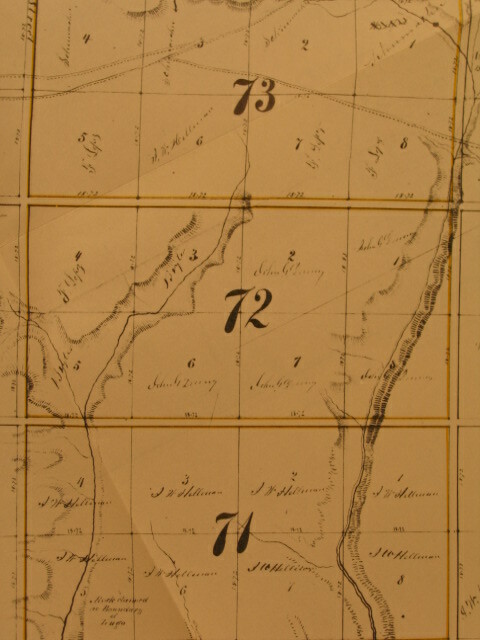 Along the way, Hellman also delved deeply into real estate, including his investment in land that became part of Boyle Heights. 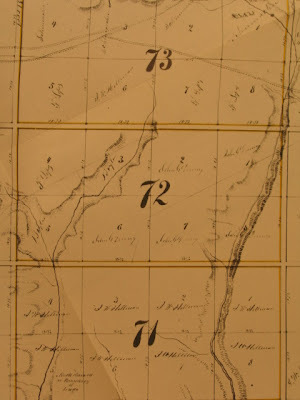 The detail (to zoom in, click on the map) above from a circa 1870 map shows some of Hellman's lands (see Block 71) before Boyle Heights was created about five years later. Hellman's power and influence in banking and real estate expanded during boom times and he survived busts with careful management and substantial cash reserves. One notable involvement was his avid support for the creation of the University of Southern California, which was then affiliated with the Methodist Church. He also was involved in many Jewish charities and was a supporter of the University of California. In 1890, he became the majority owner of San Francisco's struggling Nevada Bank and moved to that city to revive its fortunes and further develop his own. Three years later, he created the Union Trust Company to provide mortgages, rent collection and general investment services. Later, Hellman was a shareholder in streetcar lines in San Francisco and Los Angeles, including the latter's Pacific Electric Railway. In 1905, Hellman's Nevada National Bank merged with Wells Fargo and made him the most powerful banker in California and the West Coast. Still, as a Jew, Hellman had to tread a fine line in terms of his public persona as anti-Semitism was still very strong at the time. In 1920, Hellman, aged 77, died of pneumonia in San Francisco, having lived from humble beginnings in a German village through sixty years in California that saw him amass a fortune of between $10 and $20 million. As a community that has been instrumental for immigrants, Boyle Heights should be known, among many things, for having a founder that exemplifies the migrant's experience. Note: The above map was reproduced in the book, Maps of Los Angeles by W. W. Robinson (published by Dawson's Bookshop in 1966.) A recent biography of Hellman, Towers of Gold, by his great-great-granddaughter, Frances Dinkelspiel, was published by St. Martin's Press in 2008.